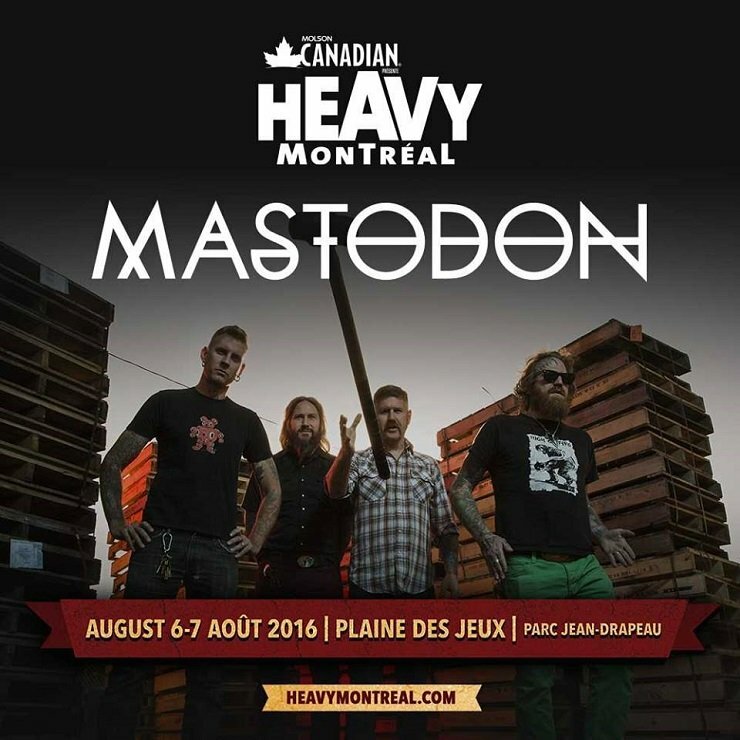 While the full festival reveal takes place later this week, the organizers behind this year's Heavy Montreal have confirmed that two of the acts appearing at Plaines Des Jeux at Parc Jean-Drapeau include reformed Quebec metalcore crew Despised Icon and wooly prog-metal titans Mastodon. Mastodon were the first group to be attached to this year's fest, which takes place at Parc Jean-Drapeau on August 6 and 7. Their appearance was confirmed via Daily Rock Quebec, who uploaded the image up above. It's as yet unclear which day the Once More 'Round the Sun bangers will perform. A few hours after that first reveal, Blabbermouth reported that Despised Icon will make their way to Heavy Montreal as well. Until then, you can try to anticipate a few more reveals by taking a newly launched quiz from the Heavy Montreal team. The questionnaire — which asks ahead of time "are you ready to test your metal?" — grills genre fans' knowledge of metal history, band-to-band links and more. Spoiler: Looking at the remaining "Lineup Hint" questions, it seems like Carcass and Memphis May Fire are about to be announced as well. You can "test your metal" by checking out the quiz over here.